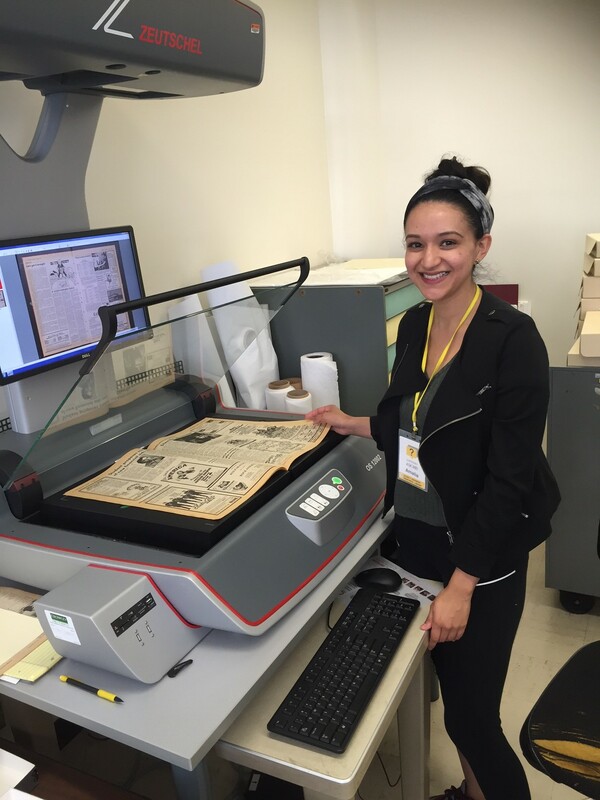 The Special Collections & Archives digitization initiative is well underway. The College/University Times student newspaper is the first collection digitized in house to archival best practices and standards.The collection is not fully digitized yet. However, you can now view the first issue of the student newspaper through the Cal State LA digital repository, Dspace. Please check back to see our progress, we have only just begun. The University Times is the student-run newspaper of California State University, Los Angeles. In 1948 the first student newspaper was published and named the Los Angeles State College. In the October issue of 1948 the newspaper was officially named, College Times. In 1965 the College Times was named the best newspaper by California Intercollegiate Press. In 1972 the College Times changed its name to University Times, in accordance with the change in university status. Armed with the GI bill, returning veterans from the Korean conflict flooded into Los Angeles State College. As is common today, many of these students attended classes in the evening while working a full-time job during the day. To introduce evening students to their classmates, activities and college life, L.A. State College began publishing an evening newspaper called Night Times. The Compton Communicative Arts Academy (CCAA) Archive is comprised of a collection of images that document African American art and culture, community-based art making, and art-based community making in Los Angeles during the early 1970s. The 200 items in this digital collection were selected from an unorganized collection of over 4,100 photographs, negatives, slides and ephemera by faculty members from the Library and the Liberal Studies Department. The criteria for selection were images that illustrate buildings and places; the Academy's programming, artwork, and performances; artists, artwork, important people and events; and Willie B. Ford, Jr. as a photographer. This phase of the project was part of the California Local History Digital Resources Project supported by the U.S. Institute of Museum and Library Services under the provisions of the Library Services and Technology Act, administered in California by the State Librarian. These recordings are from the personal collection of the poet Mel Weisburd, who during the 1950s was the editor of the influential journal of California poetry, Coastlines. Accounts of California poetry of the time now increasingly identify the group of poets associated with the journal (a circle dubbed the “Coastliners” by Weisburd) as an important alternative to the more visible Beat communities of San Francisco and Venice. Weisburd avidly sought to document the poetry activity of Los Angeles in the 50s, which recorded a number of legendary happenings and readings that featured important American poets including as Kenneth Rexroth, Kenneth Patchen, Don Gordon, Ann Stanford, Gene Frumkin, and Thomas McGrath. Since 2016, Cal State LA has served as an internship site for Pasadena City College's Digitization Skills Internship Course (LIB 126) offered through their Digitization Skills Certificate Program. Intern scan= newspapers using an overhead scanner, Zetuschel OS12002, create a preservation and access file, embedd metadata, record metadata into an excel spreadsheet, and rehouse the original newspapers in archival enclosures. Bookplates, or ex libris, are labels with a printed design intended to show ownership, usually pasted inside the front cover of a book. Our collection of 1,530 bookplates contains a wide variety of designs, designers, and subject matter. The collection includes designs of universities and colleges, clubs and organizations, and Gothic designs by H. Alfred Fowler. Interns scan the bookplates using an overhead scanner, Zetuschel OS12002, creating a preservation and access file, embedding metadata, recording metadata into an excel spreadsheet, and conducting some research of the bookplates scanned. As part of their summer experience, interns wrote two blog posts documenting their experience and cited any interesting insights or materials discovered.